More Antenna Revenue? - Antenna Management Corp. Interested in more antenna revenue? Cell data growth is exploding. According to CISCO Canada can expect annual growth of 42% to 2020. Carriers are scrambling to install more capacity. and sites. Distance to Adjacent Towers/Antennas: The chances of obtaining a cell site depend on the location of sites in relation to pre-existing antennas of a certain provider in that area. The providers typically look to use sites that have already been established. Dense Population or High Traffic Counts: Population density plays a large factor in determining the number of sites in a given area. For example, urban areas and high traffic zones are key places for providers to set up additional sites to handle the increased usage and demand. Zoning: Many jurisdictions (municipal, provincial) have zoning ordinances that allow communication towers. If a property is an industrial parcel surrounded by residential, the likelihood that a wireless carrier could use your property increases. 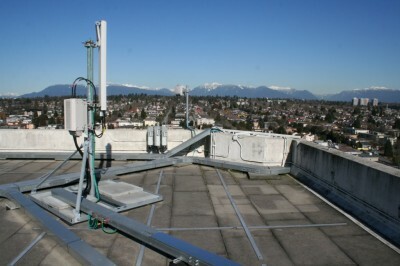 There are many exciting opportunities for property owners with cell sites. If you have a cell site check your Rent Index. This entry was posted in Lease Negotiations, Potential Sites. Bookmark the permalink. ← Lease Buyouts? When is the best time?